This group of four main islands and numerous smaller rocky outcrops is the northernmost part of New Zealand. As with many off shore islands, the native flora and fauna were decimated by the introduction of cats, rats and goats by early settlers and there is now a determined effort to eradicate them. 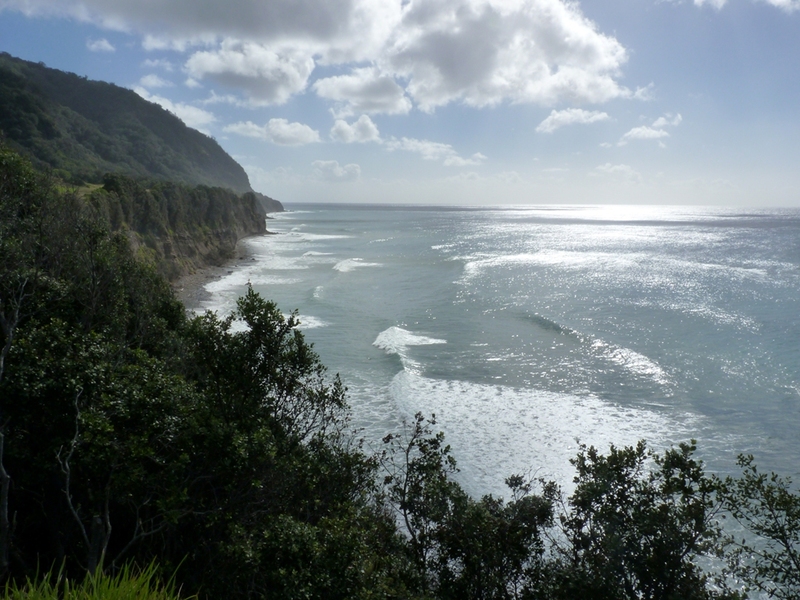 On Raoul Island, the largest of the group, volunteers work for six to seven month durations alongside Department of Conservation staff hand pulling weeds and maintaining facilities. Also on this, the only inhabited island, is a government meterological and radio station. The small group of buildings housing this activity is collectively known as Raoul Island Station. This station has been maintained on Raoul Island since 1937 when New Zealand declared the group a nature reserve. The surrounding waters were declared a marine reserve in 1990. Other notable islands in the group are Macauley, Curtis and Nugent Islands and L'Esperance Rock. The islands which enjoy a humid subtropical climate, were formed by the Pacific Plate subducting under the Indo-Australian Plate. This activity also formed the 8 km deep Kermadec Trench to the east of the group. 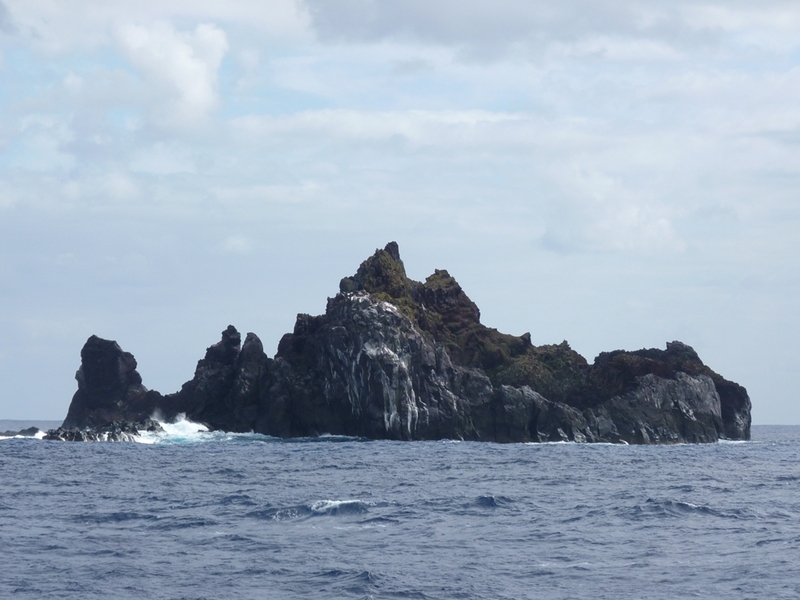 The four main islands are the peaks of undersea volcanoes and those forming Raoul and Curtis are still active. In 2006 an eruption occurred at the Green Lake on Raoul Island while a Department of Conservation worker was at the crater taking water temperature measurements. He was not seen again and other workers were temporality evacuated to safety. In 2011 and 2012 large earthquakes were recorded in the area as a result of this volcanic activity. There are also numerous other volcanoes below sea level which form seamounts with between 65 and 1500 metres of water above their peaks. In July 2012 one of them erupted producing a large raft of pumice which was spotted floating northwest of the volcano by a passing aircraft. It was perhaps as early as the 10th century when Polynesian people settled the Kermadec Islands, but the first Europeans to reach the area were aboard the 'Lady Penrhyn' in 1788. She was a First Fleet convict ship carrying female convicts to Australia and sighted the Kermadecs on her return journey to England. At that time they were uninhabited. The islands were named after the French captain Jean-Michel Huon de Kermadec who called there during the d'Entrecasteaux expedition in the 1790's. The Bell family who arrived on Raoul Island in 1878 and various whalers were the first European settlers in the Kermadecs. 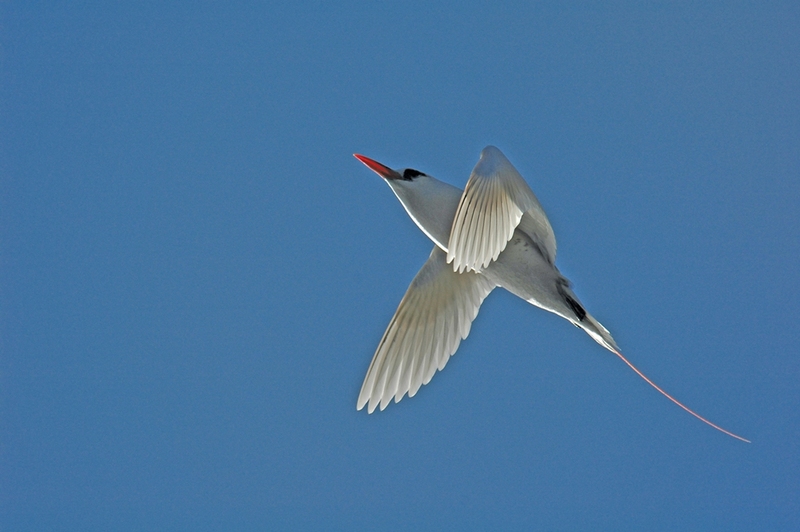 These residents departed when the islands were declared a nature reserve in 1937. The Kermadecs are a tropical and subtropical moist broadleaf forests ecoregion and part of the Oceania ecozone. Most of the plant species are derived from New Zealand, with some from tropical islands in the Pacific. Dense subtropical forests cover most of Raoul Island and until cleared by European settlers, formerly covered Macauley. The major trees are Kermadec Pohutukawa which are related to the Pohutukawa of New Zealand. Another important canopy tree is the native Nikau Palm. Underneath these is a rich understory of smaller trees, shrubs, ferns and herbs. The islands have no native land mammals and so were severely affected by the introduction of rats, cats and goats which devastated the forests and seabirds. Macauley Island was overgrazed by goats which eliminated all the forests leaving open grasslands. 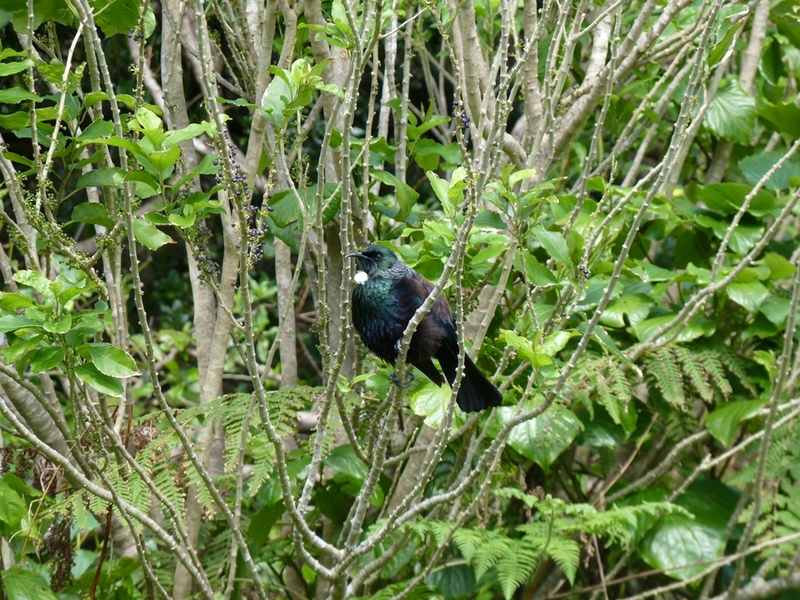 Since their declaration as a nature reserve in 1937 the New Zealand government has been working to restore the natural habitat of the islands and they are now starting to recover. The once massive seabird colonies, decimated by rats and cats, are regenerating and the invasive exotic plants are now being systematically removed by the diligent work of an army of volunteers who perform back-breaking work hand pulling weeds. 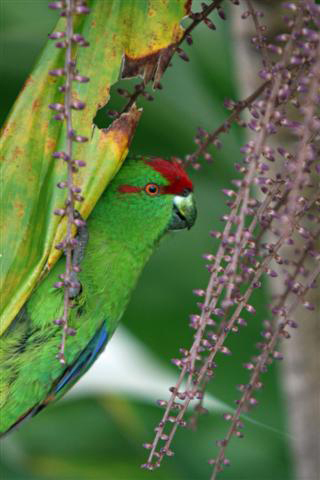 Visits are strictly controlled and are mainly restricted to Raoul Island. The seabed around the islands is extremely deep. The Kermadec-Tonga Trench in particular plunges more than 10 km below the ocean surface. Much of this is unexplored and may contain many rare and yet to be discovered species. It is thought that as many as 35 species of dolphins and whales pass through the Kermadec region on their migrations and three of the world's seven sea turtle species can also be seen here - Hawkesbill, Leatherback and Green.